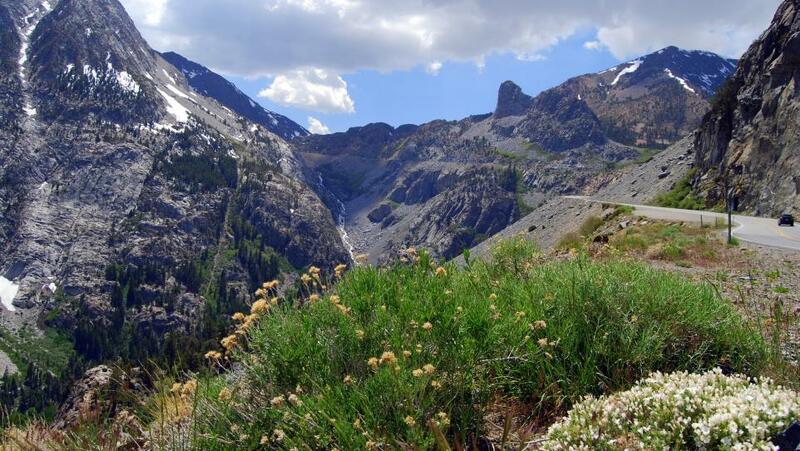 The three gateway mountain passes to the Eastern Sierra are now open – a sure sign that summer has arrived in Mono County. Tioga Pass (State Route 120 west through Yosemite National Park) and Sonora Pass (State Route 108) both opened yesterday, Wed., May 18, and Monitor Pass (State Route 89) a few weeks prior, allowing east-west travel over the Sierra Nevada mountain range on these popular and scenic routes. The much-anticipated pass openings come after the high-elevation roads close seasonally, due to winter snow, and the announcement officially kicks off road trip season. All three mountain pass routes connect with US Highway 395, the state-designated scenic byway which winds north-south at the foot of the Sierra Nevada – a drive that offers view after spectacular view right from the windshield. Each pass has unique characteristics. From U.S .Highway 395 and the gateway town of Lee Vining, the 9,943-foot Tioga Pass (State Route 120 West) is just 12 miles to the east entrance of Yosemite National Park. The highest mountain road pass in California – and arguably the most dramatic access to Yosemite – Tioga is the most popular route for visitors driving a “circle tour” around California. Farther north along U.S. 395, between the towns of Bridgeport and Walker, Sonora Pass (State Route 108) climbs above Leavitt Meadows and the West Walker River to 9,624 feet. Be sure to stop at the Leavitt Falls viewpoint for views of this three-tier set of falls. Monitor Pass (State Route 89), north of Coleville, at 8,314 feet, features breath-taking views of Antelope Valley’s meadows, forests and lush ranchlands. Home to a wide-variety of reasonably-priced, comfortable lodging, from campgrounds and cabins to family-run motels and resorts with spas, the communities of Mammoth Lakes, June Lake, Lee Vining, Bridgeport, and Walker-Coleville all have extensive offerings for Eastern Sierra visitors. With hundreds of miles of hiking trails, countless lakes and streams to fish, and must-see stops like Bodie Ghost Town, Mono Lake, Devils Postpile and Rainbow Falls – visitors are well advised to spend as many nights as possible on the east side of the Sierra. 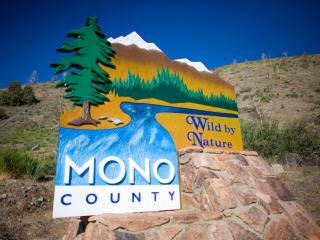 Savvy travelers can also take advantage of the amenities and convenience of staying in Mono County and traveling into Yosemite for day-trips (the National Park’s accommodations and campgrounds tend to fill up fast). Even better, starting May 27, the Yosemite Area Regional Transit System (YARTS) will do the driving for visitors. With scheduled stops in Mammoth Lakes, June Lake and Lee Vining, passengers enjoy the majestic views on the way to Tuolumne Meadows and Yosemite Valley without worrying about traffic or parking challenges in popular Yosemite Valley. See the complete schedule and purchase tickets online at www.YARTS.com or by calling 877-989-2787. Spread the word that the mountain passes are open and start planning a road trip adventure with friends and family to the Eastern Sierra. To request a visitor guide or for travel information and ideas, visit our Plan Your Trip page or call 800-845-7922.